The trend of organizing weddings in adventurous locations is consistently getting popular among young couples. Now a day, people began to extend the venue of wedding from submarines to aero planes to add the adventure to the event. Wedding Planners in India are now scheduling weddings, according to the trend. 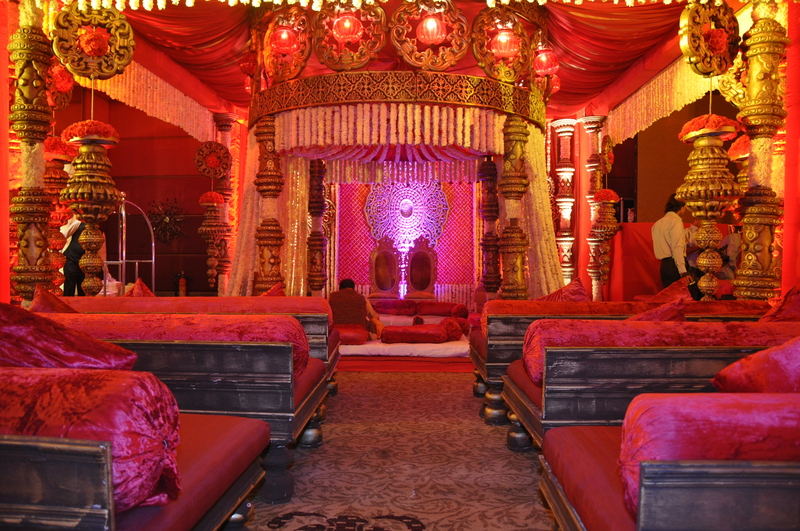 Eventfully, India has some unique adventurous locations that truly add a little bit more flavour to the weddings. Most of the outdoor activities are now extended as wedding themes. Steep hills, long winding rivers, clam oceans, and dense forest areas are adventurous wedding locations. Hilly areas of Himalayan slopes, especially Shimla is now turning to be an adventure wedding location. Ice skating, and trekking in the mountains can be enjoyed as a part of weddings. Those who wish to organize weddings by staying close to nature can choose some astonishing wildlife sanctuaries in India, as wedding venues. Wildlife sanctuaries provide a serene atmosphere that suit weddings. Indian Wedding Planner get plenty of choices such as Kaziranga National Park, Thekkady wildlife sanctuary so on to organize adventure weddings. Lake side and beach side locations are ideal venues for adventurous weddings. Perhaps, these venues have comparatively high degree of facilities for weddings. Couples can choose better hotels and resorts for means of accommodation at lakesides in India. Despite these locations, Wedding Organizers in India, as well as, couples are searching for new adventure wedding destination in India to set new trends.